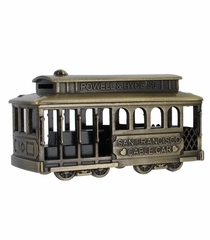 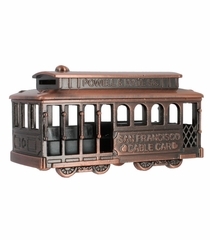 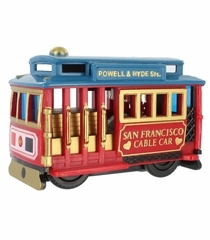 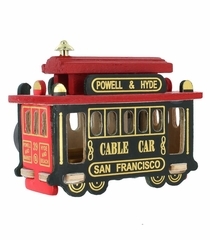 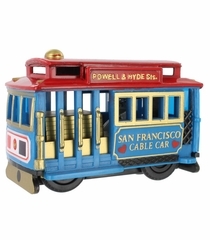 Popular San Francisco souvenirs including replica Cable Car models with manual butterfly wind up boxes that play "I Left My Heart In San Francisco", Cable car turntable music boxes, miniature pewter Cable Car models and Cable Car friction toys with authentic sounding cable car bells. 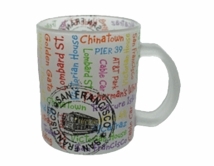 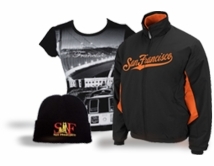 These unique San Francisco gifts are perfect to commemorate a special occasion or celebration and sure to please collectors of all ages. 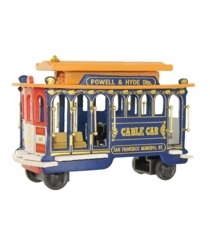 San Francisco Cable Car Music Box Model Blue Body: 5.5"